I have had a few questions about my back story and why this blog has the name that it does, and decided that now is as good a time as any to answer. I usually just say “I came out of a rough time” a few years ago, but that is sugar-coating it severely. This story starts with what every proper story of a fall from grace should: I fell in love. She was a deeply troubled woman, but some of my past experiences put me in a position to help her, and she was the most loving, caring, nurturing woman you could imagine. When she was lucid. Which came to be less and less over time. I can’t go through the full story of what happened, at least not until the statute of limitations expires on some of the low points. I think it may be best to sum this up into what I learned and what I lost. What I learned: How few people you can trust. How corrupt this world really is. How many people who say that they will have your back through everything, won’t. How to survive on things that were never intended to be eaten by humans. How the processes of foreclosure, repossession, and wage garnishment work. That having a place to stay is useless if you don’t have the gas to get there. What it is like to step in front of a coke head with a knife. That being the only person in the room that is not stoned and paranoid-delusional really does make you question your own sanity. What I lost: At least $80,000. My house. My car. The respect of, well, pretty much everybody. But worst of all I lost my faith in mankind and my ability to care. About anything. I honestly started considering myself to be dead in all the ways that matter. I kept going to work, getting things done, not because I gave a damn but simply because having it done was slightly less annoying than not doing it. I think at some point during this I referred to humans as a mongrel race that deserved no f***ing pity. I had lost everything, and started thinking about what I wanted back. Beyond the basics (stable shelter, a steady supply of food and a car that will not regularly leave me stranded) the one thing I knew I wanted back was the physical conditioning I had lost. Two years of high stress, little food and no sleep had taken their toll. I joined a gym, focused a lot more on my Budo training, and started working on my weaknesses. I soon found that every disadvantage has a built-in advantage. When you have absolutely nothing, you have nothing that you need to take care of. It makes life very easy, but completely hollow. I started making jokes about being undead- It looks like a man, moves like a man, but the spark just isn’t there. I knew there had to be some way out of this, but I had no idea how. I knew that my path could easily lead to some ugly places, places I had seen from the outside and had no desire to EVER see from the inside. I had seen too many people seek out drugs and alcohol at times like this, and resolved that that would never even be a possibility for me. I also knew that I needed to take some serious time off from relationships. Never had one that didn’t end ugly and having no ability to give a damn about anything really doesn’t make you the most charming suitor anyway. The one good thing to come out of all of this is that I had somehow, by the skin of my teeth, managed to keep my job through this, and I had learned to live on almost nothing, so I could easily save for whatever I wanted to make happen. Whenever I sorted out what that was. During this time, I also randomly came across information on the lifestyles of the Knights Templar and the Shaolin, orders of military monks. Somehow their way of living just made sense in a way I cannot articulate. So, no dating, no drinking, living cheaply, hoping to find some good in mankind… I’m going to be living a monk’s life anyway, what would it take to make that official? My goal for my physical abilities has always been to be as strong and as capable as a good soldier. So when I came across a Facebook add for the Indiana Spartan Race, I hooked onto the idea instantly. I expected just an individual challenge, a lot of cocky jocks boasting over their abilities, and I just wanted the challenge for me, didn’t care about the rest. Then along the race course I saw something entirely different: Teamless teamwork. Everyone helping everyone. Five of us working together to get a weaker athlete over an obstacle. 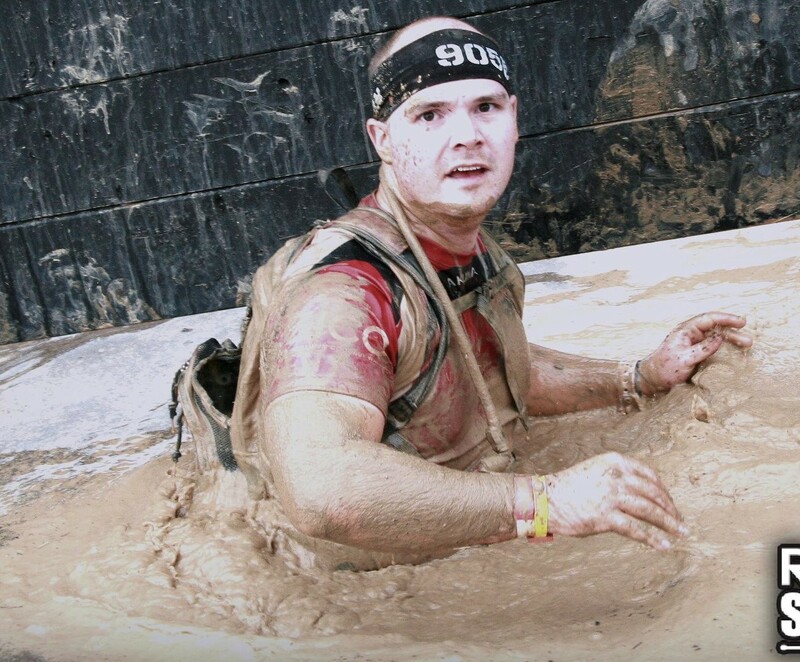 Over the next few months, stories and experiences cropped up from the OCR ranks. The story of a man carrying a 60-pound plaque through the race course in honor of a departed friend. Being tackle-hugged by a woman that I helped through an obstacle at Warrior Dash. Athletes that could freaking own all of us crossing the finish line last, to make certain that even the weakest team member made it. Sunrise at GRC 388. Everyone there hurt just as bad as I did, but still they checked in on me. “Do you need me to take your ruck?” “Are you OK, can you make it?” “Come on, you got it, DIG DEEP!” Their lives would have been easier without me on the team, but no one was upset, everyone did all they could to help me get through it. These were a different breed of humans than the ones I had spent the previous years dealing with. These ones were worthy of the name. And I knew I wanted to be more like them. I don’t remember exactly when I joined the CFS group, sometime between that first Spartan Race and my first GORUCK. Their positivity, advice, and encouragement helped push me into tougher challenges, which I’ve found is where the spark of humanity shines the brightest. It also helped to share my advice and encouragement with newer or under-confident teammates. Several members of the group write blogs to track their achievements and encourage each other. After reading about the Western States 100, and finding that some local 50-milers were qualifying runs, I made a decision that I will run all four Dances With Dirt 50-milers, and to write a blog to track my progress. So, that is how I came to be here. Happy to report that the darkness I used to live in is now a fading memory, and every day I find new evidence of what we can become. Posted on May 27, 2013 by themonkofthemud. Bookmark the permalink. Once more into the fray, into the last good fight I’ll ever know. Live and die on this day… Live and die on this day.. Into battle, facing the fire, Lord thy will be done. Please can I have your permission to share this on Pure Will? I felt your story. And if I felt it, someone else will. The more it’s shared, the more chance someone might just see some light at the end of whatever dark, lonely tunnel they’re trudging through right now. Deeply honored. You have my permission.